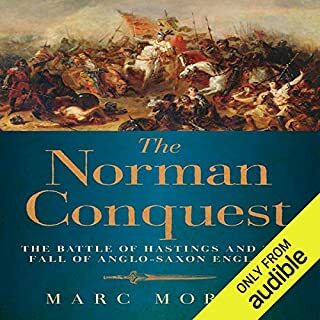 In this audiobook, Marc Morris examines afresh the forces that drove Edward throughout his relentless career: his character, his Christian faith, and his sense of England's destiny - a sense shaped in particular by the tales of the legendary King Arthur. He also explores the competing reasons that led Edward's opponents (including Robert Bruce) to resist him. I enjoyed this story of "Longshanks" life. While he was certaintly 'Hammer of the Scots' as he was purported to be--that man didn't give up on those guys, did he? But he was so much more. He also tamed the wild and wooly area now known as Wales and his son was the first Prince of Wales, a hereditary title which is passed on to the older son of the king from that time until now. He was a Crusader, albeit not a very successful one. He was the familiar with Pope Boniface, King Phillip IV, and many other leaders of his time. He had a frightful temper, yet he could be kind and generous. His people both loved him and at the same time didn't trust him not to do them a dirty turn. That was Edward I, an enigma, for certain! 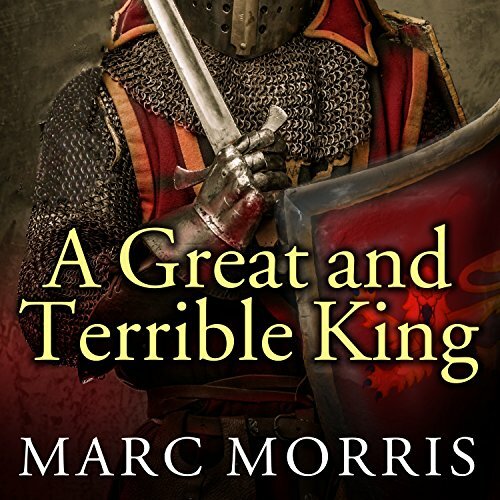 Would you consider the audio edition of A Great and Terrible King to be better than the print version? yes, the narrator really did a great job . Makes reading so much more enjoyable! What other book might you compare A Great and Terrible King to and why? 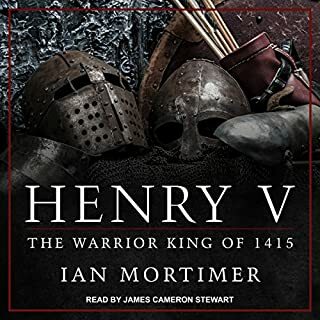 Interesting story, lots of action and plenty of controversy as goes with all things of the age, but a lot of detail if you are just dipping into medieval history. If you want to really want to understand Edward and the time, this is your book. I'm really impressed with how much historical fact the author was able to pack into this book while maintaining a well written story line. I truly enjoyed and recommend this book. Marc Morris presents an enormous amount of information in a well-organized, accessible, and compelling narrative. My only real complaint is the time he spends in the last chapter rationalizing some of Edward's many flaws. 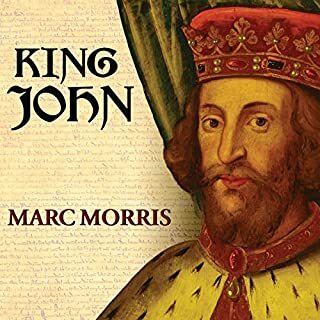 For example, Edward banished all Jews from England: Morris admits that he was antisemitic, but defends him on the grounds - paraphrasing here - that so was every one else. 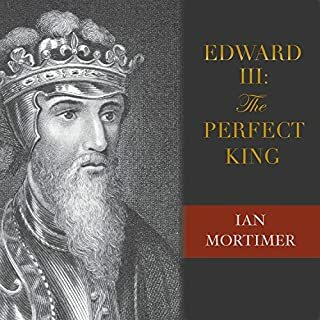 Edward comes across in the book as a man of intense concentration and single-mindedness, someone who could temporarily set aside one goal - going on Crusade - to pursue a different one - subjugating Scotland - but who always came back, as soon as possible, to the first goal. His problems were legion. 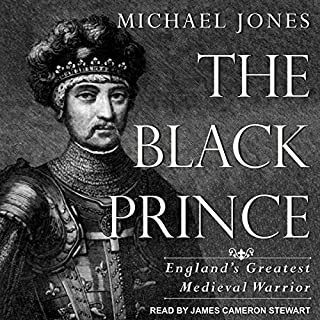 He fought wars against Wales, Scotland, Ireland, and France, succeeding definitively only in the first one. He struggled to maintain the rights of the king, over against the rights of the people. He was a king cast from the assertive, warlike mold. 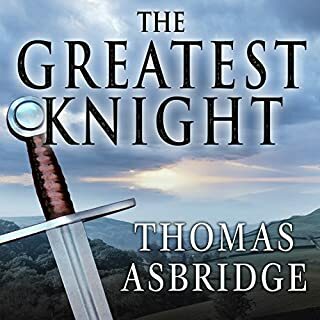 Ralph Lister is an excellent narrator, maintaining a clear and crisp pace throughout. Despite my nitpicking about this or that point, I enjoyed the listen and would - and will - definitely do it again. I enjoyed this well written history of a less discussed era of British history. My only quibble is that the reading was too fast for non fiction. I put my Sansa clip on slow speed and that solved the problem. I liked the information it was in depth. I just couldn’t get over the feeling I was listening to a history documentary from the BBC that a high school teacher picked out. Abundant historical information presented in easy to follow format. will look for historical follow on.